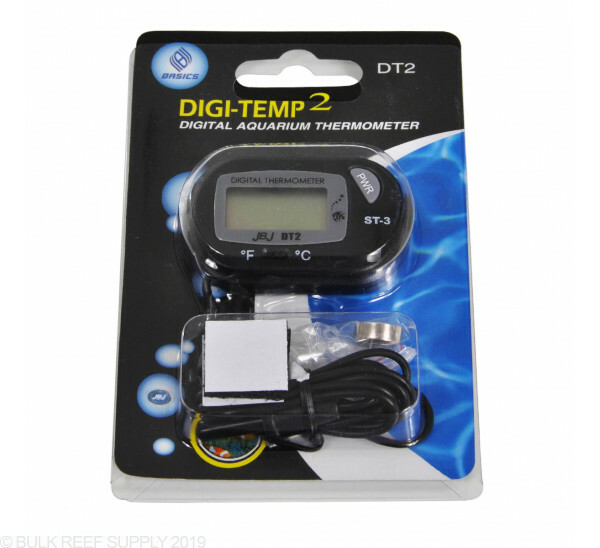 Easily view the temperature of your tank with the Digi-Temp2. Large display shows temperature in Fahrenheit or Celsius. Compact design for discreet application. Temperature range is -58° F to 158° F (-50 C to 70 C). Accurate to +/- 1.5° F. 41” temperature probe cord for easy configuration. Suction Cups or Velcro tape included for application. For the money this is one of my favorite thermometers. I have quite a few from LaMottes, to Apex Neptune Thermometer, to an OXO one, 2 laser thermometers, and quite a few other random aquarium thermometers I've cached over the years. This one seems to be extremely accurate when compared to the average of all the others.. Its basically right on the money. I trust it. It's cheap. I'd pay 5x more if it had min/max memory and was illuminated. A good product for its price point. I would compare its reading against a calibrated thermometer. Mine reads about 2.5 degrees less than actual. 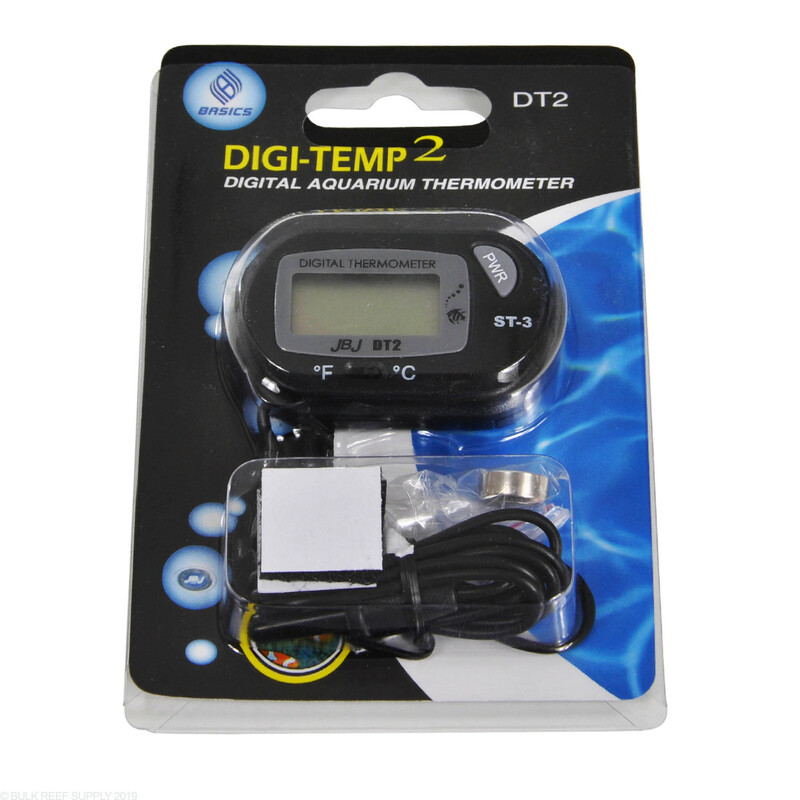 For less than 10 bucks, you get a nice little digital thermometer. Seems accurate enough. Small and discrete, yet screen is large enough to read easily. These thermometers work fine and I've never had any significant issue with accuracy. The main problem is that they always die in about 6-8 months. As long as you're fine with periodic replacement, they're great. After one week, so far so good. The temperature displayed matches the temperature my Ranco controller is set to. I can't yet speak to the longevity of this, as it's only been in my tank for a couple weeks now. However, i'm really quite happy with it and would recommend it for an inexpensive digital thermometer that's easy to use and read. For the price, it really can't be beat. If you need something that will hold a +/- 0.5 degree accuracy, this isn't for you, but look at the price and set your expectations to match. Not bad for the money. Has been working well for me, but had to replace one part of the velcro as the adhesive was not very good and started falling off the tank. I clean all the surfaces with isopropyl alcohol before attaching so pretty certain I got a bad piece. I really like they included suction cup mount as well for both probe a display. 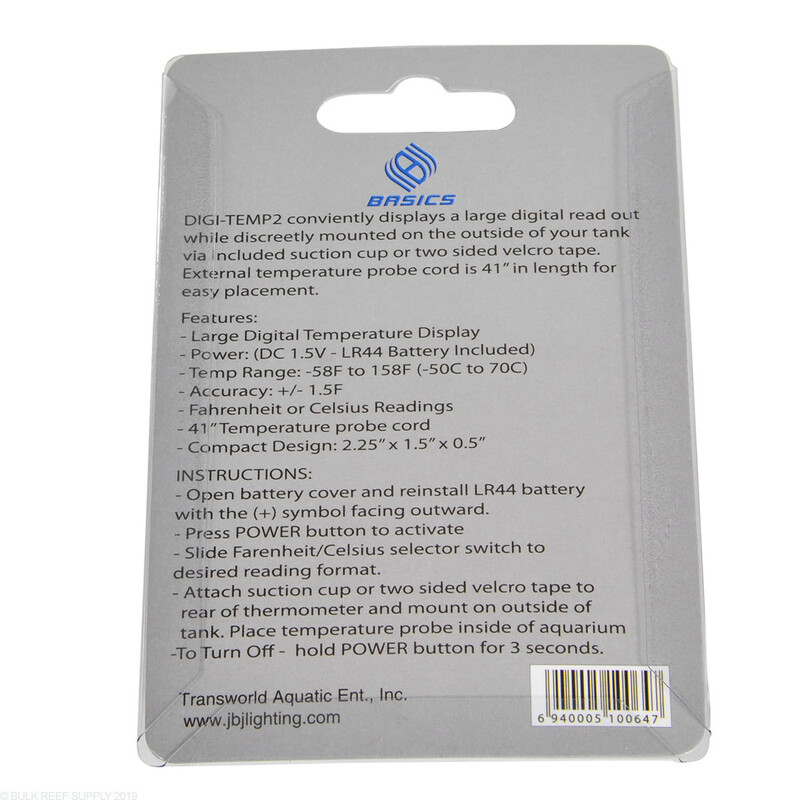 I primarily use this one for getting the temp correct on my freshwater tank when doing water change and I can stick the probe in the gravel cleaning portion and monitor the fill water temp. The only other thing I don't like is the update of temp is not immediate and only updates every few seconds. This is not a problem if you are monitoring a system that is not prone to any rapid change like mixing saltwater or temp in the aquarium. Overall I'm happy with this unit. This works fine out of the box, but after a short time (2 weeks in my most recent case) it is no longer accurate. It was reading 86 F, when an accurate thermometer showed the water was at 78 F. It's not great that rather than just failing, it shows an inaccurate temperature. I have 8 of these now and they all still work. 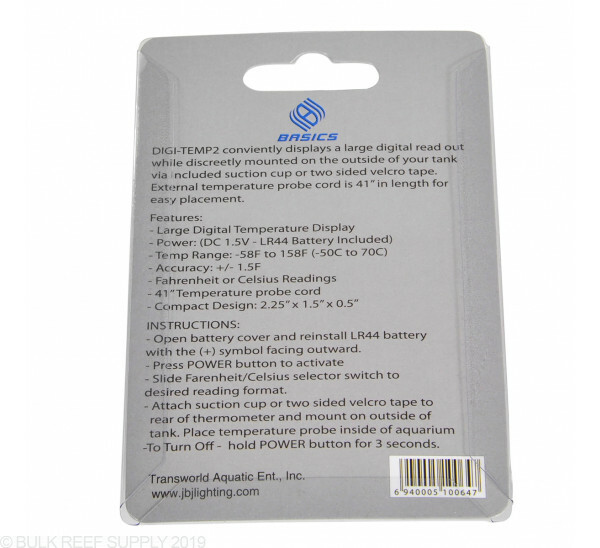 Some of these are off a degree or two so be sure to check it against a known accurate thermometer first and just keep in mind if it reads a little high or low....These seem to work as well as others I have paid 3 x the price for and the battery life on these are a lot better. Thermometer is quick and accurate, but cheaply made. Works fine when installed and a bit careful -- but of you push too quickly or hardly it flakes out and resets.